Traceability and tracking are two terms that are often used interchangeably, especially by professionals concerned with the procurement process. According to Specialty Fabrics Review, setting up operations in overseas countries thousands of miles away from headquarters may have its advantages, but it also allows for major discrepancies to occur. The source noted a statistic formulated by the International Chamber of Commerce that predicts the global value of counterfeit products is set to hit $1.7 trillion by 2017. This brings in the quality control part of strategic sourcing. It's not uncommon for companies to send analysts and developers to factories unannounced to scrutinize manufacturing standards and practices. However, another measure is needed, and it involves the implementation of DNA. Specialty Fabrics Review acknowledged Applied DNA Sciences, which specializes in assigning unique, microscopic identification tags to raw materials. For example, suppose an apparel brand wanted shirts made entirely from cotton grown on a farm outside of New Delhi. The cotton's DNA would be broken down and tagged. If product specialists can't find the cotton's identity in the finished product, they'll know a manufacturer isn't following the predefined standards. This allows for accurate traceability to occur. Brady Corporation, a developer of manufacturing safety solutions, released an infographic detailing the value in employ traceability. 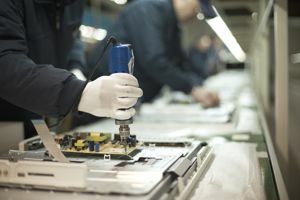 The enterprise made some interesting points, acknowledging how the expenses associated with finding product defects increases tenfold whenever it encounters a new part of the product lifecycle. Deficiencies cost the automotive industry about $9 billion annually. The enterprise recommended businesses follow a three-step process. First, organizations must evaluate all existing sources and suppliers on perceived risks. Second, auditors must be sent to factories suspected of accepting counterfeited goods or deviating from predefined manufacturing protocols. Finally, progressive changes can be implemented.